Graphic Impact supplies both backlit, digitally printed, sign menus for restaurants of all sizes and video monitors. Our technology assures you that Graphic Impact’s backlit signs will be of the highest photographic quality and most vivid colors. Inserts are printed with latex inks and may even be clear coated for extended durability. They are inexpensive, with fast delivery and made to last! 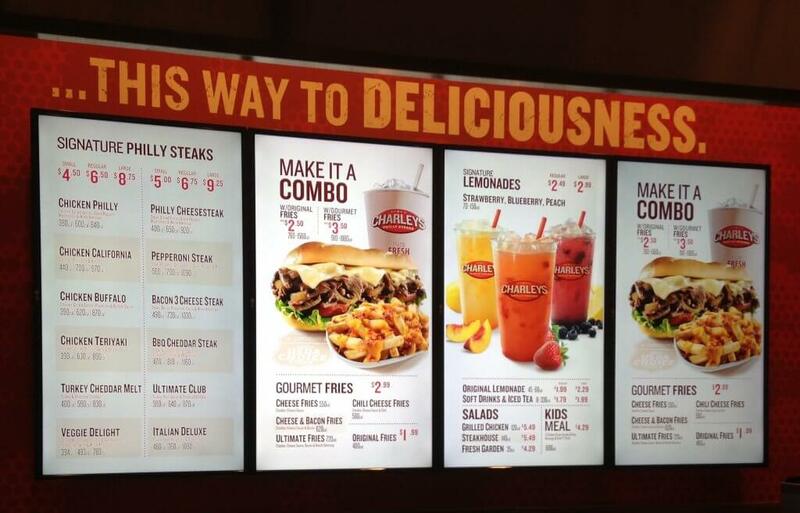 Digital menu boards are a hotly debated topic as to which is better. Not surprisingly, cost was high on the agenda. Many restaurant owners have decided upon digital menu boards as a wise investment. Many others are concerned over the cost. Digital signage requires an initial investment. Prices range fro $1,000 for a single digital menu board to $10,000 for a ‘small’ network of digital displays.